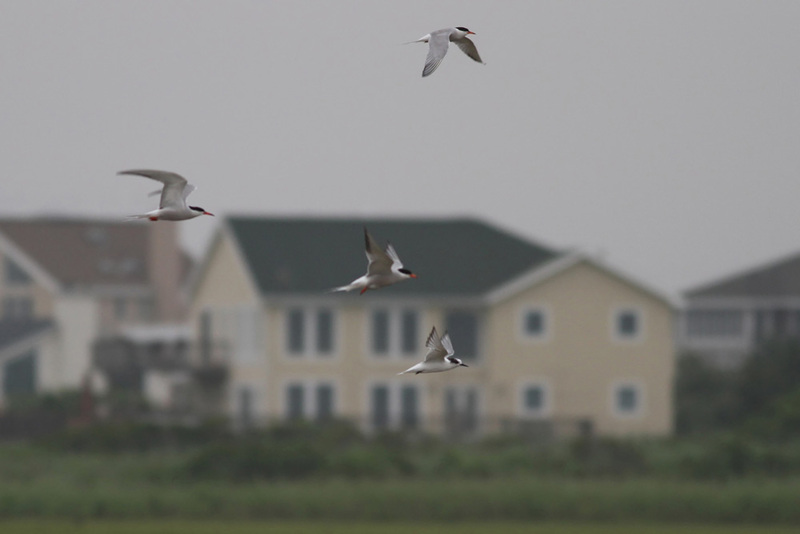 I'm recently back from several days spent on eastern Long Island, New York. 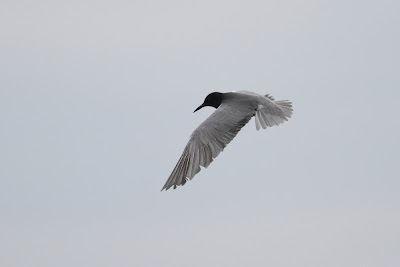 During this vacation/visit I birded in bits and pieces with a couple of extended early morning outings. In short, the birding on the eastern LI south shore was fantastic, loaded with shorebirds, terns, and seabirds. I would have loved more time to explore. 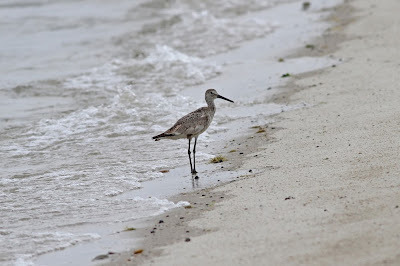 My first exposure to seawatching, with Carolyn, was on the evening of the 9th from Georgica Beach in East Hampton. 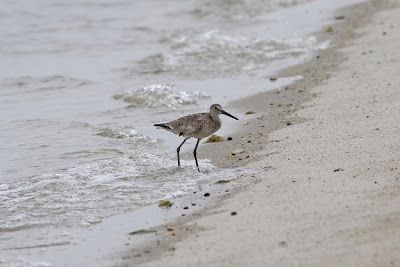 The weather was overcast, hazy offshore, and a light south breeze. Here we had many Cory's Shearwaters plus single Great and Manx, plus two flyby Royal Terns. On the 11th I spent the entire morning birding further west, starting at the recently hot Cupsogue County Park (Elegant Tern, Red-necked Stint the week before) and working my way back east. At my first visit to Cupsogue I arrived at dead low tide and was able to navigate the channels and flats surprisingly easily. 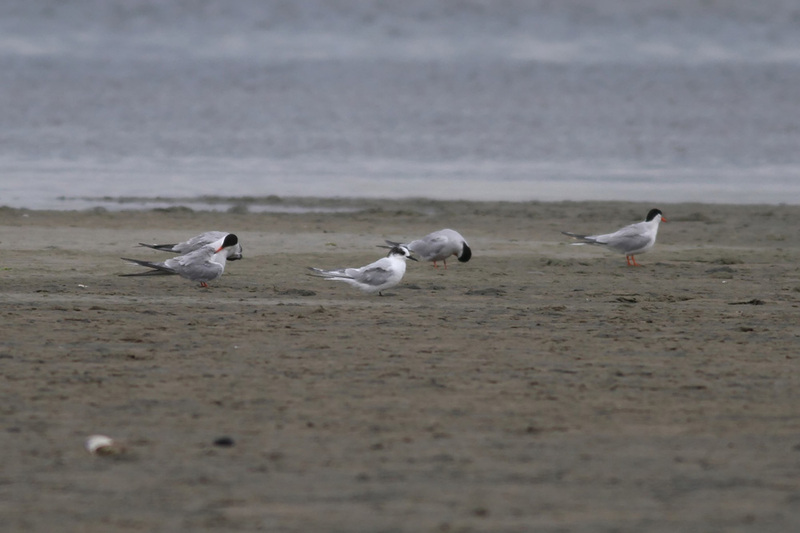 The recent drama and misinformation on the state listserv had made me a bit nervous going in, but it seems that some patience and care is all that's needed to bird the flats safely. 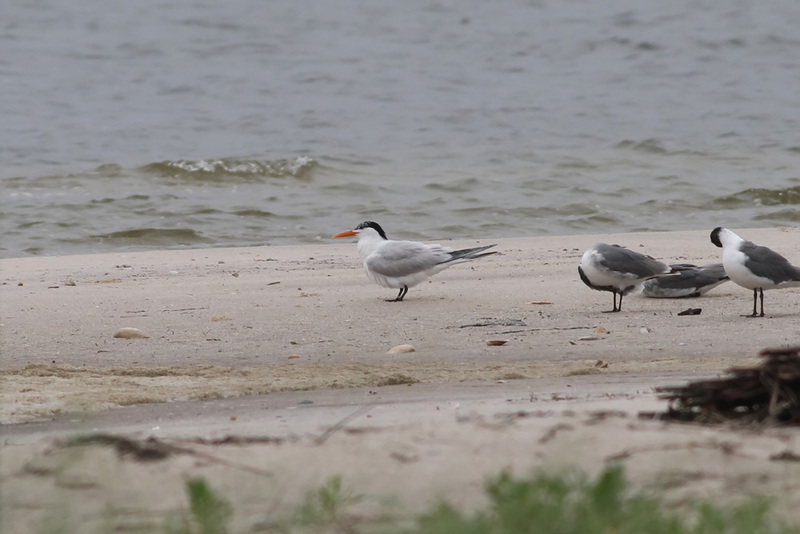 The birding here was quite good, with seven species of tern being the highlight (Least, Black, Roseate, Common, ARCTIC, Forster's, Royal...plus Black Skimmer). Fourteen species of shorebird was a modest total, with the best being a single "Western" Willet. The weather all morning was overcast with on-and-off showers. I had to endure one downpour while on the flats but luckily no severe weather. 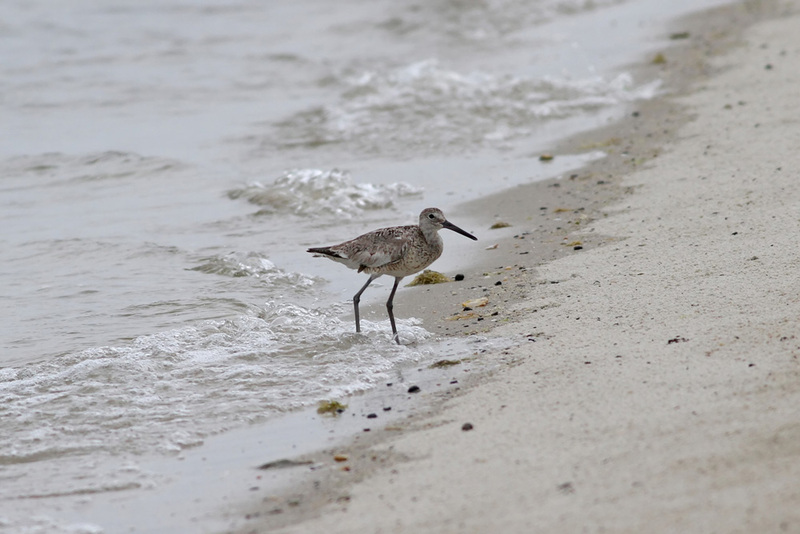 After a few hours, at mid-tide, I decided to head out before I stranded myself due to high water. Surprisingly I was able to cross at a shallow point without water any higher than my kneecaps. Definitely could have stayed longer! On my hike back to the car one of the Black Terns decided to forage along the shoreline on which I was walking. Lucky for me it was a bird in nice plumage, and the rain had stopped allowing me to pull the camera out of the dry bag. All I was missing was some sun. 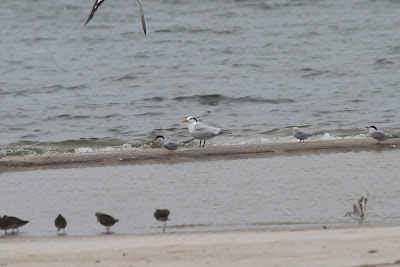 I spent the rest of the morning quickly checking spots along Dune Road to the east. 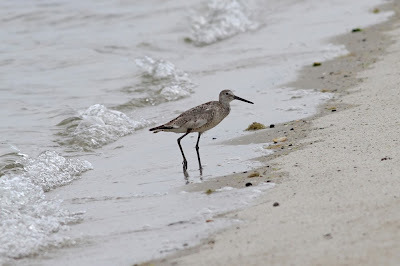 Pike's Beach had another "Western" Willet, which actually looked rather similar to the first individual, so could have been the same. 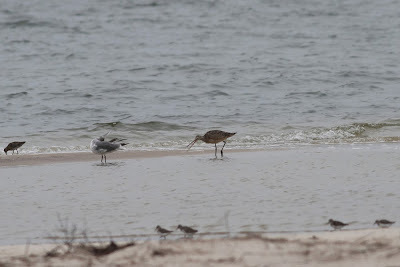 Tiana Beach had a MARBLED GODWIT (best shorebird of the day), 2 Royal Tern, and a banded American Oystercatcher (reported it, haven't heard back yet). 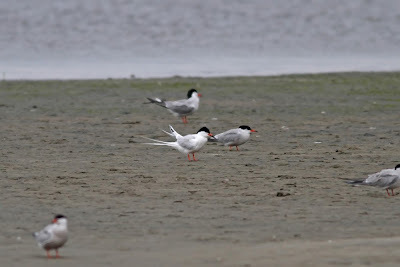 Lastly, there were two more Royal Terns at Shinnecock Inlet. Later that evening Carolyn and I again scoped from Georgica Beach under similar conditions as the 9th and had 75 Cory's Shearwater, 3 Manx Shearwater, and a large dark immature jaeger that went down as Parasitic/Pomarine. I would lean Pom on size and structure alone. It was back to Georgica Beach the next evening (7/12) for more seawatching, this time in a stiff east wind and poorer visibility. A 45-min watch produced 230 Cory's Shearwaters, 4 Manx, and several hundred Herring Gulls and Common Terns...all heading east into the wind. There must be loads of Cory's out there right now. My final excursion came on the morning of the 13th, where I was met with fog and intermittent showers. 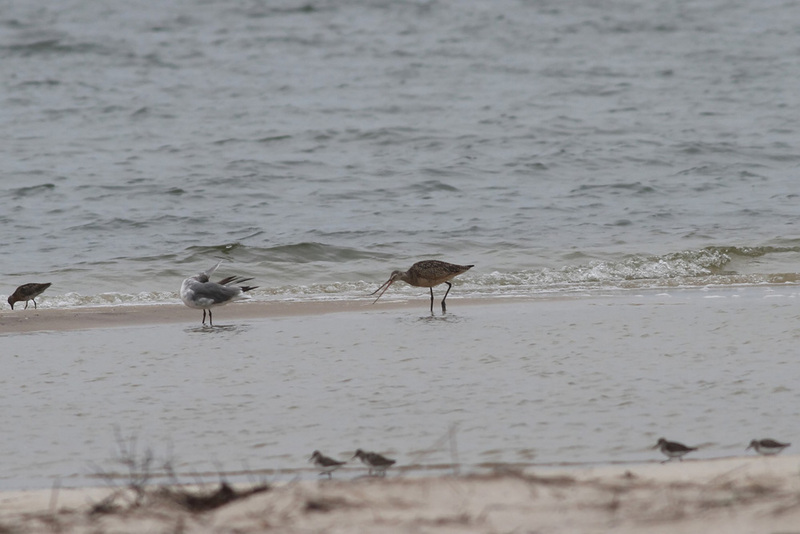 My plan was to spend just a few hours in the field, checking Mecox, Sagaponack and Georgica Inlets. 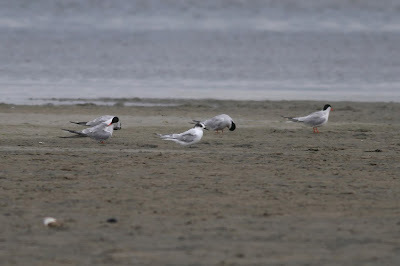 Mecox had a few flats and sandbars on which gulls and terns were roosting. 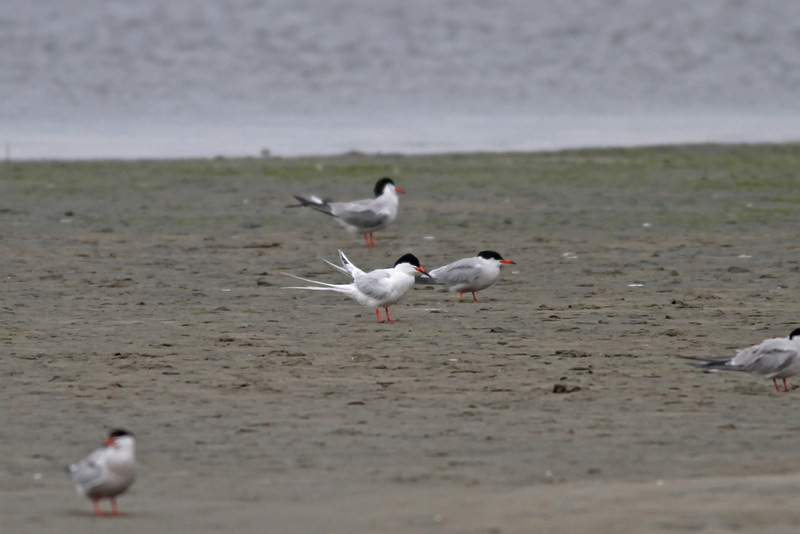 The tern & skimmer flock held single SANDWICH, Royal, and Roseate Terns. 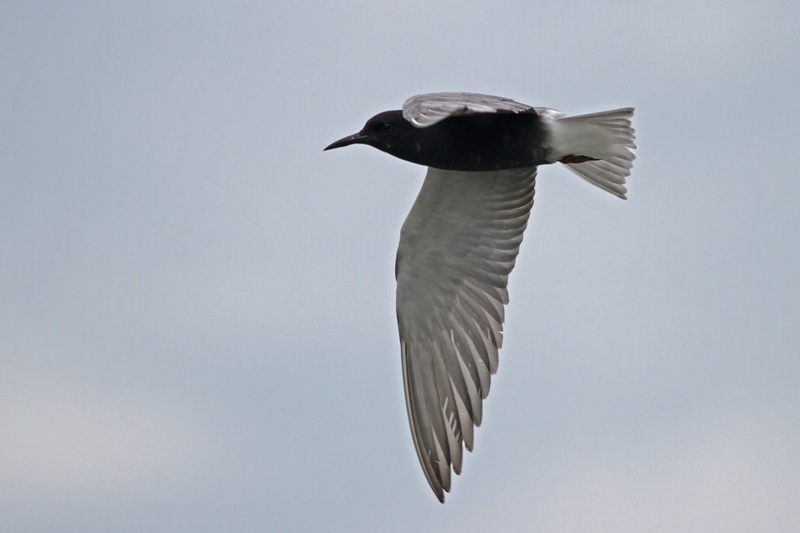 At ~6:55am the terns, skimmers, and a few gulls took flight more hastily than usual. 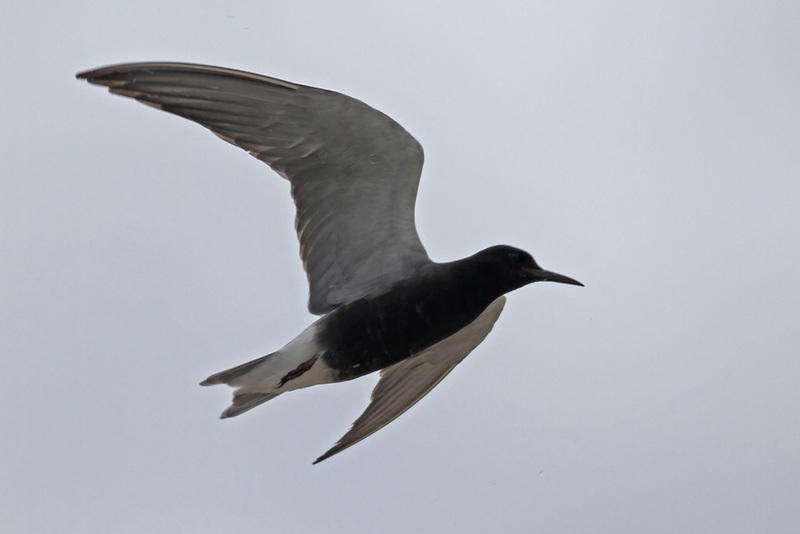 Out of the fog over the terns emerged a near adult LONG-TAILED JAEGER, which then passed by me as it headed out to sea. Views through binoculars and scope for approx 15 seconds combined at close range in rather good [muted] lighting conditions. 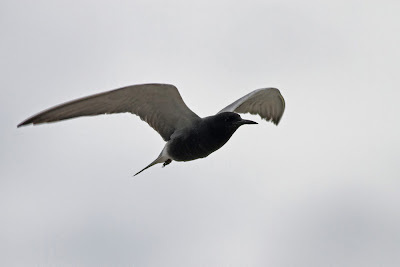 This will be written up for NYSARC if it is a review species, but here is a brief description: gray above, small black cap, slightly contrasting darker flight feathers on upperside, very long pointed central tail feathers, smooth gray belly and vent, completely white breast with not a hint of a breast band, lack of white on underside of primaries, slim belly, narrow wings, very buoyant flight. I did notice at least a few checkered underwing coverts, so not a full adult. 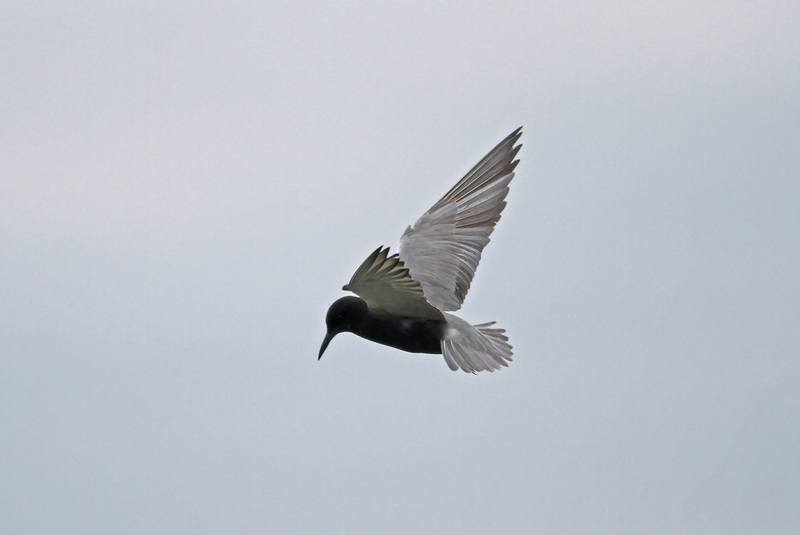 After Mecox the rest of the morning was somewhat uneventful, but there were birds to see. 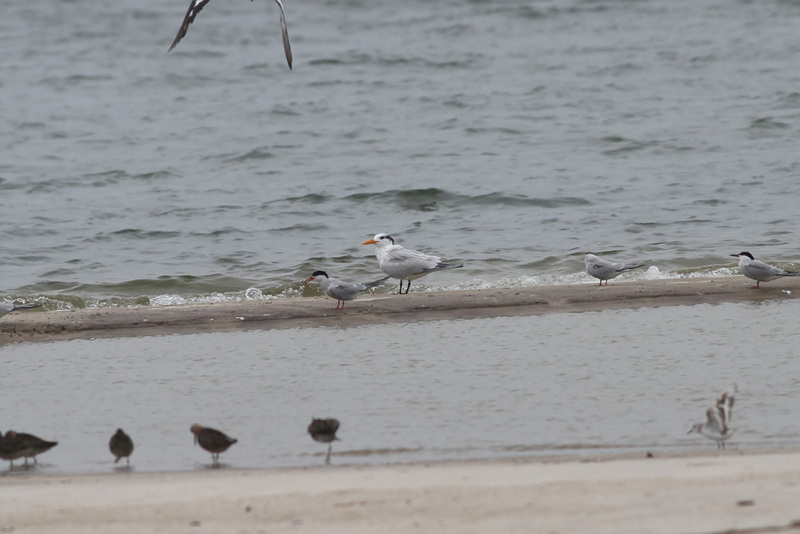 There was a first-summer Lesser Black-backed Gull at Sagaponack Pond. 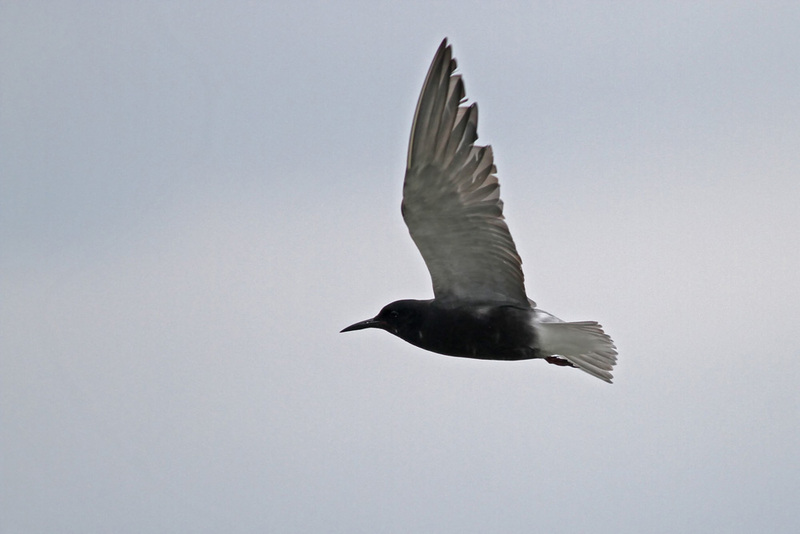 Just off Georgica Pond, as visibility improved a bit, I recorded 8 Wilson's Storm-Petrels (my only ones of the week) and a single Cory's Shearwater. 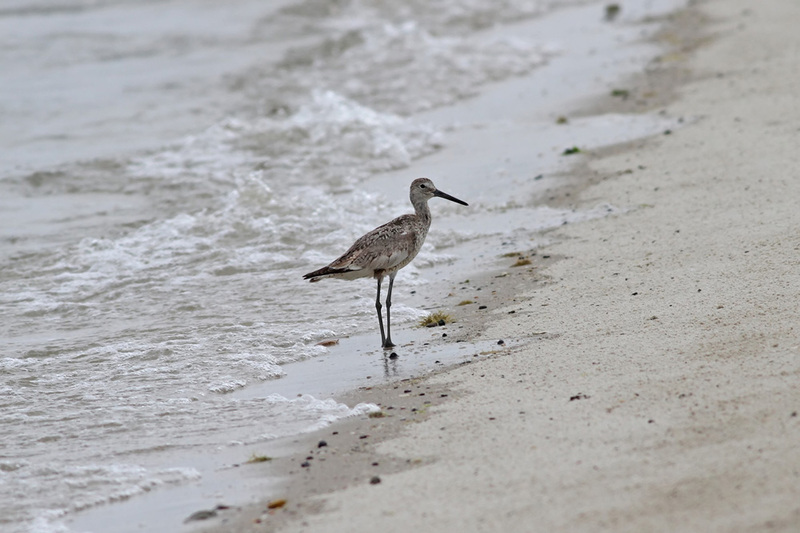 Shorebirds were non-existant all morning. Finally, just before departure on the afternoon of the 13th we took a leisurely stroll on Georgica Beach, with bins only. Still we had a few more Cory's, a young Northern Gannet, and a near adult Lesser Black-backed Gull. Reverse jinx!? Who are you, Bill Simmons? Let's leave mindless superstition to the ??? No rarities since. I think I ruined the reverse jinx by advertising what I was trying to do. That must be why.